Mitral and Aortic Valves are the most affected when there is a problem with valve structures. Damages to these structures occur usually by inflammation and calcification. The damage interferes with the one-way directional flow of the heart. This problem can have a net result of heart failure due to an increased work load of the Heart. Stenosis and Regurgitation are presentations of valvular disease. Stenosis occurs when the valves do not open properly. Heart usually compensates by myocyte hypertrophy. Mitral and Aortic Stenosis are 2 common types. Normally, blood flows from left atrium to the left ventricle during ventricular filling/relaxation. Therefore, failure of the mitral valve to completely open interferes with the filling process. This narrowing causes pressure in the atrium to remain greater than that of the ventricles (8 mmHg as opposed to 4 mmHg of a normal valve). When the orifice decreases to 2 cm2, the individual starts to experience symptoms. When it narrows to1 cm2, a critical stenosis occurs and pressure gradient increases even more.Mitral stenosis often results in right ventricular hypertrophy, pulmonary hypertension, and right sided heart failure. Deficient fillings also cause a decreased stroke volume of the left ventricle. This reduction can present as fatigue and weakness. Other signs include cough, dyspnea and orthopenea. This stenosis is failure for the valve to open properly during ventricular systole (when blood flows out through the aorta from the ventricles). Major cause of aortic stenosis is calcification (calcium deposits). Calcification occurs most with the elderly (ages 70 to 90 years old). Left ventricle starts to develop high pressure to overcome that of the aorta. Heart compensates by ventricular hypertrophy. This compensation leads to high left ventricular afterload which causes left-sided heart failure. Syncope, Fatigue, and low systolic blood pressure are common signs due to decrease in cardiac output. Angina also occurs, but can usually be alleviated with rest. S4 sound is usually present. Regurgitation is the inability for the valves to close properly. This abnormality causes a back flow of blood. Rheumatic heart disease can lead to valvular regurgitation. 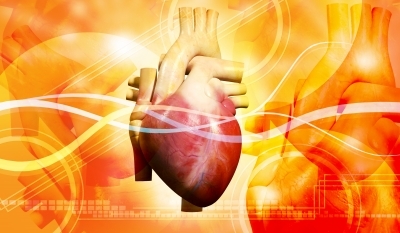 Production of heart sounds (murmurs) is usually very prominent. Mitral Regurgitation and Aortic Regurgitation are two common types. This is a back flow from left ventricle to left atrium which occurs during systole. Left atria pressure increases due to an increase in volume and a high after load. Both left atrium and left ventricle compensate by myocyte hypertrophy. Weakness and fatigue are most common complaints. This is an incomplete closure of the aortic valve that occurs during diastole. Left ventricle blood volume increases causing hypertrophy. Stroke volume also increases and systolic blood pressure is therefore elevated. The most significant result is left-sided heart failure. The mitral valve bulges up into the left atrium during contraction. This condition is most prominent in women ages 20 and 40 years. The condition usually goes unknown. Those who experience symptoms are often subject to palpitations, dizziness, fatigue, dyspnea, chest pain, and psychiatric problems (anxiety and depression). A complication of this disorder is infective endocarditis. This is an uncommon, but a very serious condition. It is caused by infection of group A Beta-hemolytic streptococci. The infection affects joints, heart and skin. In the heart, it can result in inflammation of the valves and blood clogs on the valve leaflets. This occurs when organisms invade structures of the endocardium causing inflammation. It is caused mostly by streptococcus and staphylococcus aureus. Some factors that can lead to ineffective endocarditis include rheumatic heart disease, heart abnormalities, prolapsed, and calcification of valves. The most noticeable sign of infective endocarditis is low-grade fever, weight loss, and flu-like symptoms. Lee-Ellen Copstead, Jacquelyn L. Banasik. Pathophysiology 4th edition. Alterations in Cardiac Function. Pg 441–447.